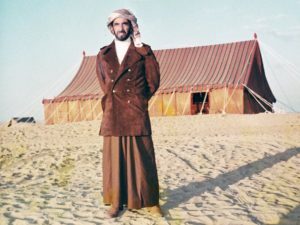 Dubbed as the forerunner of contemporary falconers and conservationists across the world, the late Sheikh Zayed Bin Sultan Al Nahyan (may God bless his soul) was born a conservationist. 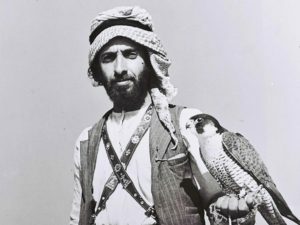 Growing up in the harsh, inhospitable, environment of the Arabian Desert, where the Bedouins eked out a living through hunting, young Zayed foresaw the need to strike a balance between the preservation of the ancestral heritage of falconry and hunting on the one hand, and the long-term survival of falcons and their prey on the other. This far-sighted vision is what modern conservationists know as ‘sustainable hunting’. Sheikh Zayed was not only ahead of his own generation, but also far ahead of the entire worldwide conservationist movement. 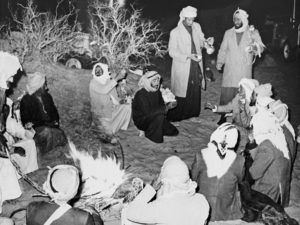 By the mid-1930s, Sheikh Zayed had become both falconer and conservationist, with a fully blossomed vision of a transformed conservation-friendly society. 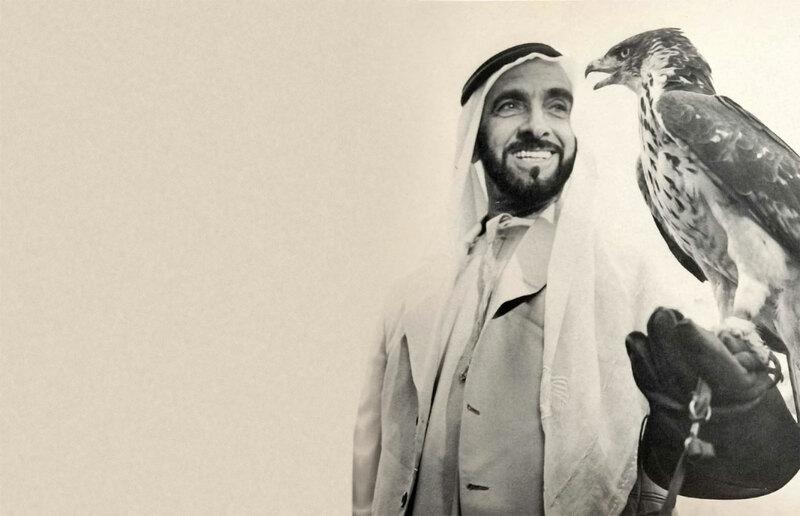 In the social arena, Zayed was undisputedly the epitome of Arab falconry, for he exhibited an enormous and intuitive knowledge of Mother Nature, enabling him to capture the imagination of his Bedouin community. For instance, he was able to show them that, despite the ruggedness of the environment in those days, it was incumbent on society to be conserving rather than destructive of its ecology. Zayed stood for conservationist values as a matter of conviction and necessity and he loved nature and wildlife as no one else. He also introduced a humane face to the concept of falconry, which he perceived as an invaluable sport and heritage. His own hawking skills were unrivalled, as chronicled by the great British desert explorer Sir Wilfred Thesiger, who hunted with him over half a century ago. 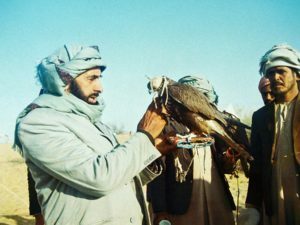 Zayed described the particular attraction of traditional Arabian falconry not just as the sport itself, but also as the companionship of the hunt. In Arabia, falconry is a communal pursuit. His own falconry skills brought him closer to the hearts and minds of his compatriots. The bond of affection that he had with his people won him a love and prominence that none of the other leaders in the region enjoyed at that time. 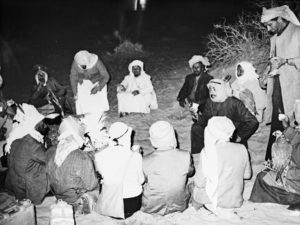 What was uniquely fascinating about Sheikh Zayed – the man and the conservationist – was his ability to remain focused on his convictions and values. Even when he became president of the seven-member federation of the United Arab Emirates, including Abu Dhabi, which was established in 1971 after the British withdrew from the Arabian Gulf, he was neither swayed by the affluence of modern life nor by the many responsibilities which he had to shoulder. On the contrary, this marked the beginning of a new era when he was able to ensure that his concern for conservation took on a nation-wide approach, and a raft of legislation followed. In 1966, when he became ruler of the Emirate of Abu Dhabi, then beginning its rapid rise as an oil producer, Sheikh Zayed created the Association for Animal Welfare, a group of rangers who patrolled the deserts to ensure that there was no uncontrolled hunting of wildlife. The populations of Arabian gazelles, pigeons, hares and other wild animals were immediate beneficiaries. 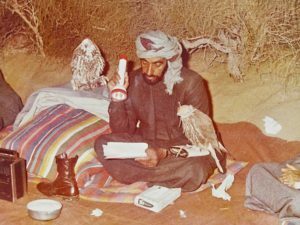 Sheikh Zayed’s efforts in falconry and conservation continued unabated, not just as a participant, with projects and direct instructions, but also as a source of inspiration for numerous other initiatives that were to have far-reaching effects at national, regional, and international level. 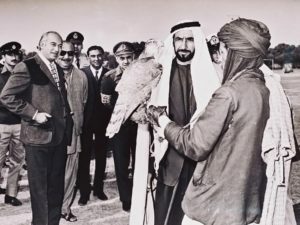 Of special significance in this respect was the initiative to organise the first World Conference on Falconry and Conservation, held in Abu Dhabi at the end of 1976, which for the first time brought falconers from North America, Europe and the Far East together with falconers from Arabia. The conference acted as a launching pad for a strategy devised by Sheikh Zayed to bring falconers into the mainstream of emerging conservation efforts. It was at this time that captive-bred falcons from Europe first began to appear in Arabia, launching a trend that today sees most Emirati falconers choosing captive-bred birds for preference, thus reducing the take from wild stocks. In the early 1980s, Sheikh Zayed established a falcon hospital at Al Khazna, outside Abu Dhabi, followed in 1999 by the Abu Dhabi Falcon Hospital, part of Abu Dhabi’s Environmental Research and Wildlife Development Agency, ERWDA. 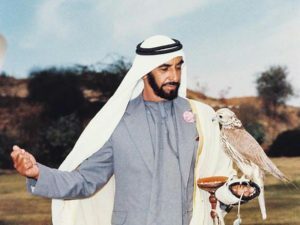 By 1995, Sheikh Zayed was working to ensure a shift from the use of wild falcons to hunting with captive-bred falcons. By 2002, 90% of Emirati falconers were relying on falcons bred in captivity. 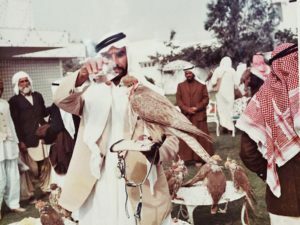 Like most Arab falconers, Sheikh Zayed traditionally released many of his birds back into the wild at the end of the hunting season. In 1995, he launched the Sheikh Zayed Falcon Release Programme. Since then, thousands of wild-caught sakers and peregrines have been released along spring migration routes in Pakistan and Central Asia. 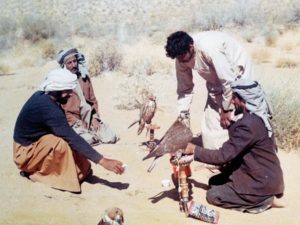 Sheikh Zayed actively encouraged his fellow falconers to make greater use of captive-bred birds, and introduced a strict licensing system for the trade in wild-caught birds in the Emirates. Coupled with the introduction of a ‘falcon passport’ approved by the Convention on International Trade in Endangered Species of Flora and Fauna, CITES, this has already had a dramatic effect on reducing trapping pressure in neighbouring countries. In his life and even after his death, he has received plaudits and praise from around the world for his statesmanship and for his achievements in building a modern, developed and harmonious society in the UAE. Falconers worldwide owe him thanks, too, for his far-reaching contributions to the sport – indeed art – that he loved so much.